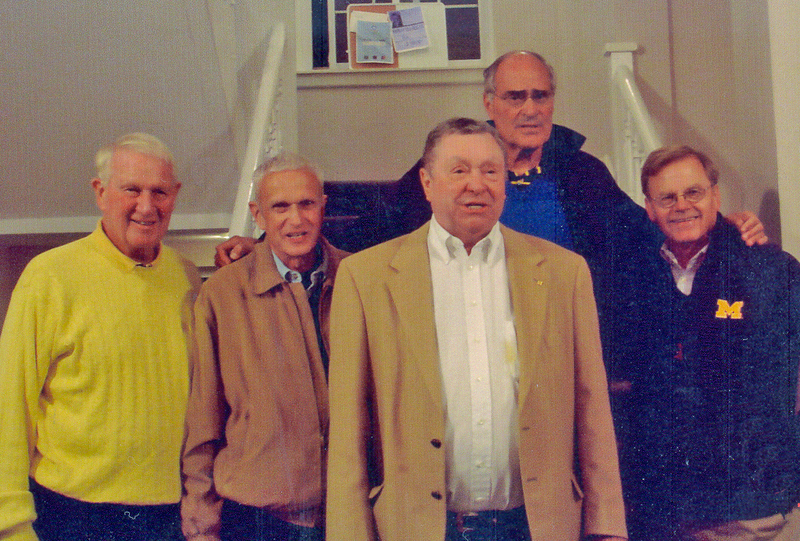 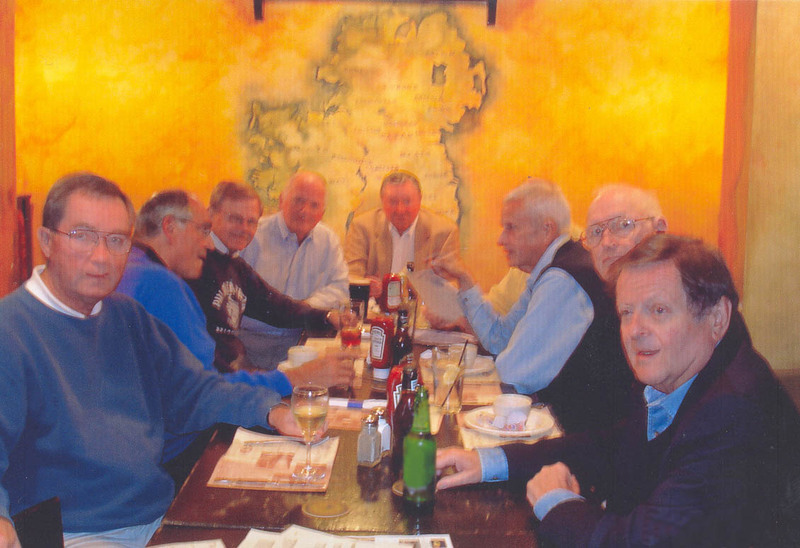 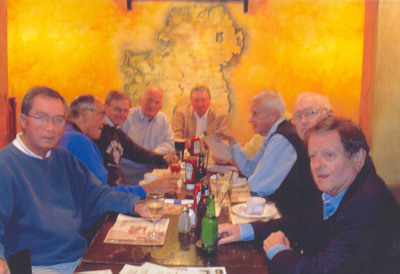 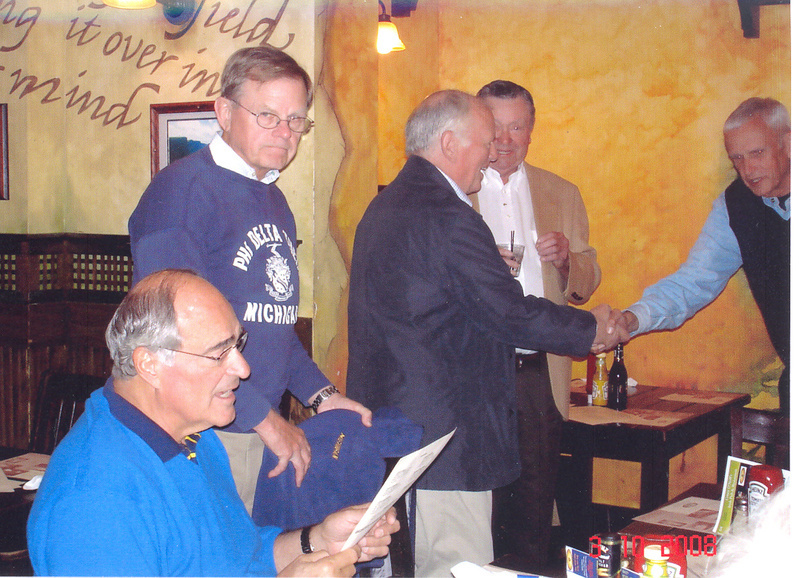 Pictured above visiting Conor O'Neills Irish Pub in Ann Arbor (left to right): Bernie Rinella '58, Mike Jackson '58, Roger VanderPloeg '58, Dean Finkbeiner '58 and Charlie Green '58. 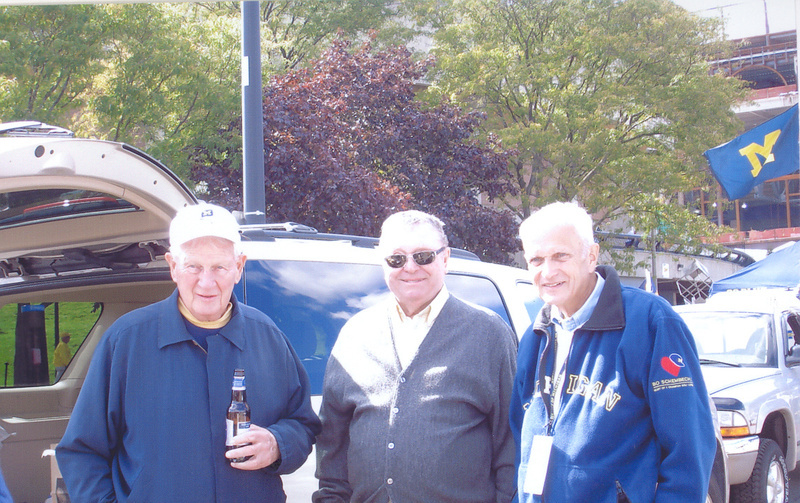 Pictured above tailgating at Michigan Stadium (left to right): Nick Mans '58, Bernie Rinella '58 and Charlie Green '58. 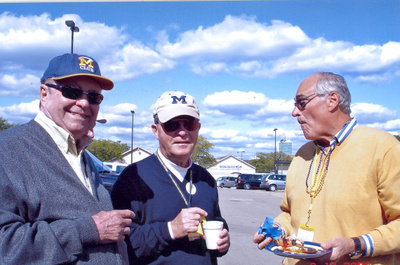 Pictured above tailgating at Michigan Stadium (left to right): Dean Finkbeiner '58, Jim Friedman '58 and Bernie Rinella '58.